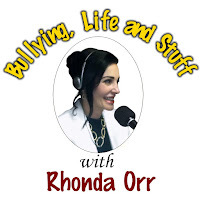 Dear Rhonda & Dr. Cheri: Advice on Life's Problems: What is a "lawnmower parent?" I’m a teacher with two 11-year-old girls who both reported being bullied by each other. They used to talk and giggle together, incessantly, in my classroom. They did a gymnastics talent show together. They were sweet and never aggressive towards each other, until the day I was the cafeteria monitor. They were sitting apart. One was sitting with the popular girls. They mocked and teased the other girl. The targeted girl yelled at her former friend. Then they both stood up and pushed each other. They were going to fight. I talked with them about their unacceptable behavior. They continued accusing and name-calling each other, so I sent them to the principal. He only told them to stop it. I brought their parents in and they started bashing each other. They were threatening and swearing and accusing each other’s kids. Surprise – surprise. The principle said they’re just being “lawnmower parents.” This is a new one to me. My daughter once said I was an embarrassing helicopter parent. Is this the same? We’d like to commend you for taking a genuine interest in the welfare of your students. You’re a great example of our definition of civility. (Be caring, considerate, and courteous). Lawnmower parenting is a new buzzword for a parenting style. It means the parents “mow down” their child’s confrontations and anxieties. They do the fighting back, or they take over their child’s (necessary) struggles to eliminate embarrassment and awkwardness. The most damaging effect is diminishing their children’s ability to analyze problems and find solutions. Decision-making – Do activities, role-plays, or skits involving problems and solutions, such as responding to mean comments like, “You’re ugly.” Provide two helpful and healthy choices and one unhealthy choice. Help your students become educated about healthy friendships and values by having them list what constitutes a great friendship and values (choosing three). Give them a 20-value list to take home.